You weren't serious about the "tickling" slot machines, were you? Wouldn't such "tickling machines" (machines that are linked so that playing both would generate wins) be illegal? The bartender went into the backroom behind the bar and returned with the slot mechanic. He then repeated the question that she asked him. The slot mechanic asked her to follow him and she did. The went to a slot nearest the entrance and he to open the slot and tinkered with it for a few moments, closed the machine and told her "Go ahead". She began dropping quarters and immediately won forty dollars. She was screaming as if she hit a million. She grabbed her winnings and began to leave the slot when the mechanic stopped her and ask her where are you going? "The machine is set" he continued and so did she. Additionally, I am disappointed in your response to this story. Instead of condemning the management for cheating, you more or less condoned it. I hope you will rethink your position and write another article that addresses the obvious problem in that casino: they're cheaters and breaking the law. No, I wasn't serious about the tickling slot machines. I guess I was too subtle in nearly completely disregarding most of the letter in my reply, so I'll address the incidents discussed in the letter now. The first incident was giving someone $300 to play the slots with the understanding that he could not keep any of the money he won. Certainly there have been shills at table games in the past, but not today, and I've never heard of shills at slots. Table game players may not want to play at an empty table, but slot players have no qualms about playing at an empty bank of machines. I'm skeptical that this incident happened exactly the way it was described. The second incident is the one described in the excerpt above. A slot tech set a machine for a player. If this occurred 30+ years ago, it's possible that the technician could have removed a bug that was placed on a reel to prevent the reel from landing on that particular stop. With today's computer-controlled stepper slots, there is nothing the tech can do to make the machine tighter or looser -- other than changing the programming of the machine, which can't be done in "a few moments". The last incident was about neighboring machines tickling each other. This is utter nonsense. Until recently, data flowed away from the machines only, to the slot club and slot accounting systems. Today's machines will accept data, like free-play credits and randomly awarded bonuses, but nothing that affects the results of a spin. Unless the machines could communicate telepathically, there is no way for one machine to influence another. I don't think the casino cheated in the second incident. I think what happened in both the second and third incidents is that casino employees pretended that they were setting a machine or letting players in on a secret, while in reality they were just playing the odds and doing nothing. If the players were lucky, they would think the employee helped them win and tip accordingly. If the players were unlucky, the employees would probably have some reason for why things didn't work out this time. It's just like asking a slot floorperson which machine to play. The floorperson has nothing to lose by recommending a machine, even if he or she has no knowledge of it. If you win, you'll think the floorperson helped you and you'll tip them. If you lose, you just won't ask that person for advice again. Because I can't see the people asking me questions, I can't tell how serious they are. Sometimes I wonder if they're pulling my leg. I think the person who wrote the original letter was serious and I believe that the the last two incidents described in the letter happened as described. I also believe that the casino employees were pulling her leg when they "set the machine" or said the machines tickled each other. 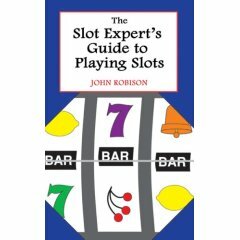 John Robison is an expert on slot machines and how to play them. John is a video poker columnist and writes for many of gamings leading publications. He holds a master's degree in computer science from the prestigious Stevens Institute of Technology. You may hear John give his slot and video poker tips live on The Good Times Show, hosted by Rudi Schiffer and Mike Schiffer with Frank Scoblete, which is broadcast from Memphis on WMC 790AM Saturday morning from 9:30 to noon Central Standard Time. John is on the show from 10:30 to 11:00. You can listen to archives of the show on the web anytime.